"I love my Line Jacket..."
Thank you sooo much. I love my Line Jacket, It is ICE COLD... more pixs to come." Find out which of your favorite athletes pledged what Fraternities and Sororities. We did some research on this topic and found some pictures of our favorite ballers before they started professionally balling. 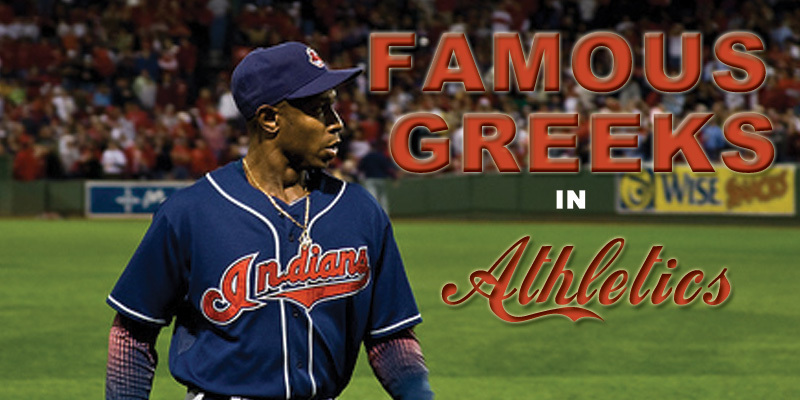 If you're wondering what fraternity left-handed slugger, Kenny Lofton is a member of, look closely at the picture above. He always wears a shiny Greek accessory around his neck showing off his fraternity. 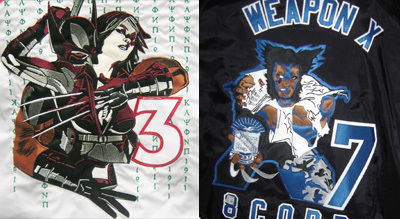 One of our favorite Wolverine designs is from Edcardo's Kappa Alpha Psi jacket. 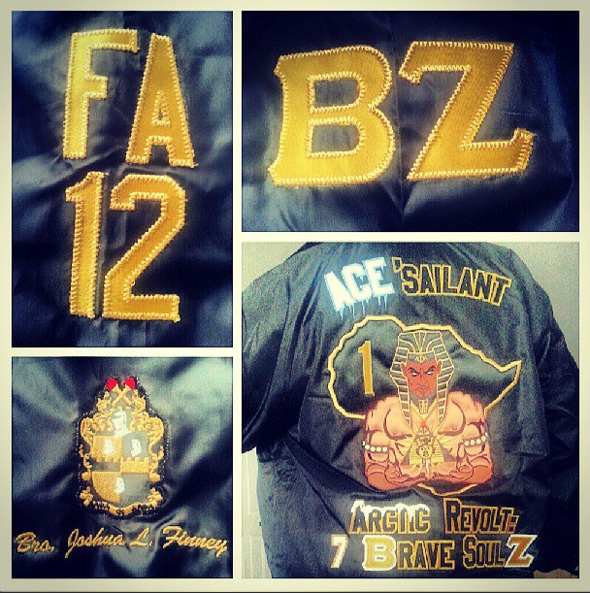 It was a contestant in our 2012-2013 Jacket of the Year contest. You can read his story and watch the "making-of" video here. Wolverine is definitely a popular character for line jackets, but we've stitched countless other characters and pop culture icons too..
We all find out what our passions are at different times in our lives. We as a company found that our thing is custom Greek apparel over a decade ago. Fortunately for us, there are more people passionate about wearing our custom Greek gear that we are able to reach out to and work with every day. 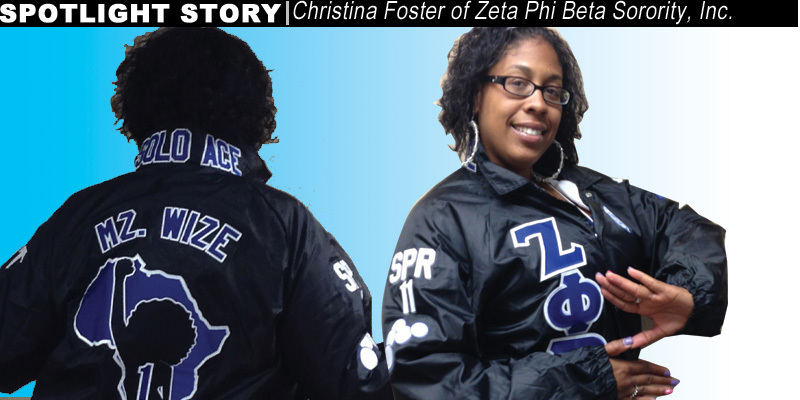 We are going to share the story of our new friend, Christina, who is just in love with her new Greek jacket she just received from us. 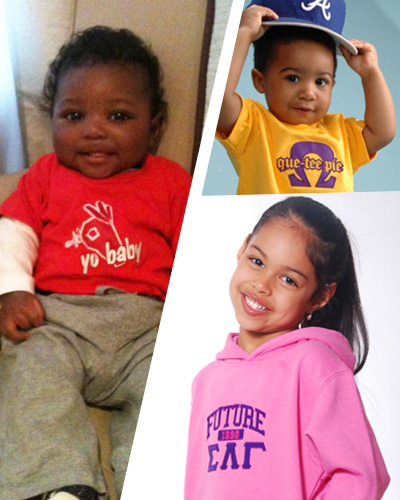 Your baby is royalty... let the world know! Yesterday, the Royal Family in London gave birth to a baby boy... you may or may not care about this news, but chances are there's a baby somewhere in your life that you do care about, and you'd love to spoil them with some Greek-related baby gear to show your fraternity/sorority spirit. Whether you have kids of your own, or you just want to give the coolest gift at the next baby shower, we have just the site for you. There are several famous political figures, athletes, entertainers, and more. 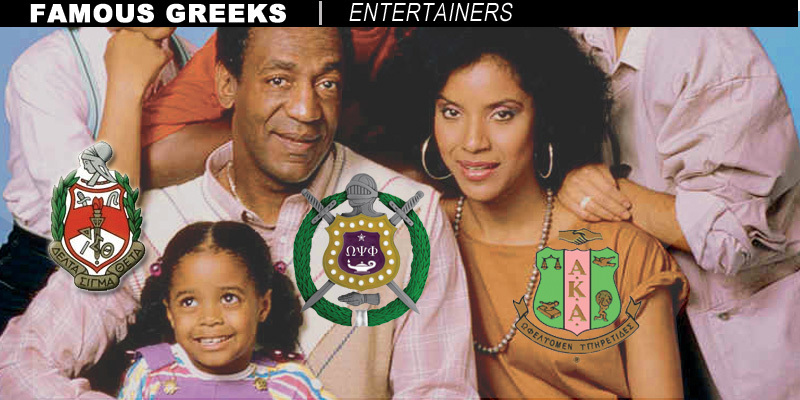 Today we're going to focus on famous Greeks in the entertainment industry. There are many singers actors, radio personalities, and directors and producers who pledged the same organizations as all of us and wear the same Greek gear as us. Here are just a few of the D9 entertainers we found while we were looking up this subject. If you know anything about us at S4G then you’re probably aware of our love for art. We love to play around with different artistic elements when we work. We get inspired to create art from a variety of places. Some of the inspiration for the Greek gear we make comes from clients we work with, the music we listen to, commercials, and other art that we see around the city of Atlanta and other places we’ve visited. 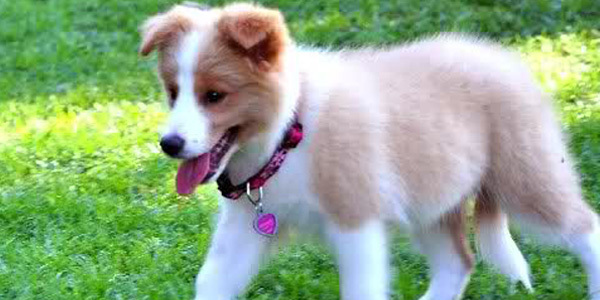 What does this dog have to do with one of the most popular must-have Greek accessories? The answer may surprise you. 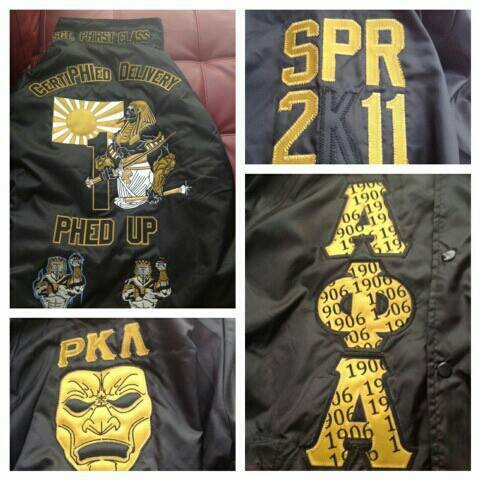 "Placed my order for my line jacket around June 6 and I received it about a month later on July 9. I was VERY pleased with the quick turnaround! When I opened the box and saw my jacket, I tried it on and it fit PERFECTLY! The design, stitching, color....everything was five-star. I showed it to line brothers and they immediately asked where I got it from. Hopefully, we'll all have our jackets by our one year crossing anniversary in November. 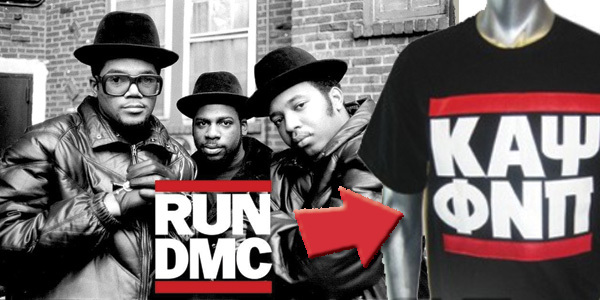 S4G will definitely be my source for custom Greek apparel for myself or as recommendations to any of my Greek friends." "The beautiful detail and art work is breathtaking..."